Having to answer this question is not unlike the questions a blogger would face every time they write. Of course, everyone wants to write about the ideas in their minds and hearts. But if drawing an audience is a priority, maybe you’re more inclined to write about the hot news story, or the hot game, or a subject that lets you use hot keywords that have worked for you in the past. It’s a slippery slope trying to chase the trends, as you can quickly burn out from writing about topics you aren’t fully invested in. Furthermore, there’s still no guarantee that a trend-chasing post will pick up any momentum. The calculus around what games to play on stream is sort of similar, but with a few wrinkles. Writing about a popular game like Fortnite could help you draw a few readers in from a large potential pool of content consumers. However, there’s more competition you’re going up against for those eyeballs. Still, content tags, unique headlines, or different angles on a subject can help drive users from search engines or other platforms to your written content. On Twitch, you’re even more at a disadvantage if you try to stream one of the more popular games. Based on the research I did while writing this post, Fortnite generally has about 11,000 people streaming the game at any given time. When I browse Fortnite results on my computer, I see…six-to-nine results at a time. There are a handful of tags one can use to filter the results, but with a results page that prioritizes streamers with high view-counts, new streamers are essentially buried at the bottom of a list that the average viewer is never going to get close to reaching. 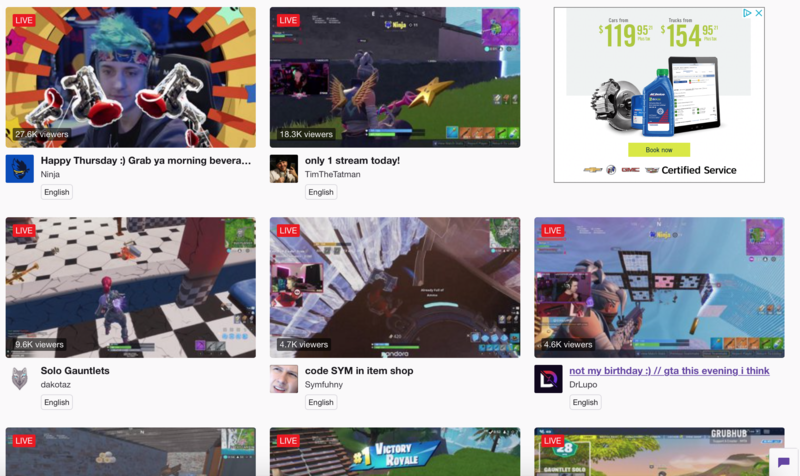 At this point, the Fortnite market is beyond saturation and a bad choice to stream if you have growth in mind. If it’s your favourite game and that’s the only thing you want to play, do it anyway. Just know that climbing the search results in Fortnite is even harder than scoring a Victory Royale. Going the other way didn’t help me, either. Tetris Effect has no competition for the top spots, but it also doesn’t have an audience. What’s the point of being at the top of the list for a game no one wants to watch? There’s an interesting resource out there called Twitch Strike, which allows you to view how each game is performing. It allows you to gauge what times and days draw the most viewers, what times and days don’t, and what percentage of a game’s viewership is taken by one of the top 5% of streamers. Twitch viewership skews heavily towards top streamers, so streaming in the same category as a number of these top streamers is going to be an incredibly uphill battle. That said, do you try and game the system by systematically playing the most fruitful games for viewership at the right times? Then you run into the same trend-chasing problem at a more extreme level, as you’re now playing games you may not want to play at times you may not want to be playing games at in order to catch a wave. Even within my own little slice of Twitch, I can see how game selection has impacted my viewership beyond just Tetris Effect tanking. From the start, I vowed to myself that I would position myself as a variety streamer. In real life, I play games spanning different consoles and genres. For me to commit to streaming just one game or one niche is something I refuse to do at this point. The ripple effect of that decision is that my audience seems to be segmented by game or category. There are people who primarily tune in when I play Overwatch. Others tune in when I play Nintendo stuff. 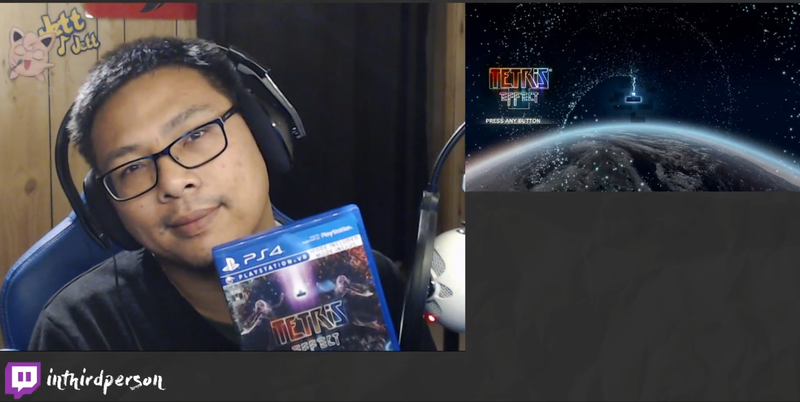 No one will tune in if I’m playing Tetris Effect, Anthem, or Spider-Man. Despite Tetris Effect bombing for me, I tend to draw a lot of new viewers when I play Tetris 99. Though I’ve been largely out of the fighting game loop for awhile now, I do have plans of eventually streaming more fighting games when one tickles my fancy. My gut says the majority of viewers who watch me right now wouldn’t be interested in watching me play those games, either. Of course, there are those who tune in regardless of what I play, and I love them dearly for hanging out with me across everything. That said, it’s totally reasonable for viewers to watch the games they like to watch and tune out for games they don’t like to watch. By virtue of hopping from game-to-game, it’s going to be exceedingly difficult for me to draw everyone in at once. But that’s the sacrifice I make for having that flexibility in game selection. Thinking about the games you play in terms of what kind of viewership it will generate is admittedly kind of gross. No one is stopping you from streaming whatever games you want, whenever you want. But if viewership growth is a priority for you, then these are the types of calculations you have to make in your head so that you’re okay with whatever the end result might be. And just as an addendum to Tetris Effect. While it was a streaming disaster, a clip of me playing its secret stage relatively recently become my all-time most watched video. Having been one of the first on YouTube to capture the moment, it rose to the top of the search results really quickly and was even referenced by Kotaku. Apparently, Tetris Effect is more of a YouTube game than a Twitch one.